If Move Over laws are ineffective or spottily enforced at best, what’s the alternative? People like Justin Cruse, president of WreckMaster Inc., advocate for setting up a tow work zone like a construction work zone in which there is greater physical separation between tow operators and traffic, as well as other protections. “I don’t think we have to rewrite the book when it comes to diverting traffic from the work scene. It’s been perfected in the construction world and it’s up to us to see how we can transfer that to the towing community,” says Cruse whose company offers towing and recovery training ranging from basic (2/3 level) to advanced (8/9 and rotator training). 1. Create a physical barrier between the work scene and oncoming traffic. 2. Use identifiable uniforms and personnel protection equipment. 3. Pay fair and justified compensation for protecting workers. “Basic ANSI safety attire and cone placement is an absolute minimum” according to Cruse. The FHWA publishes a guidebook on best practices for work zone operations, some of which can be adapted for the towing and recovery industry. -Establish a traffic control plan- Create countermeasures for hazards within a work zone, hold daily safety meetings and more. 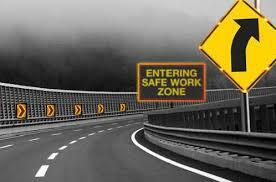 A traffic or safety plan boosts companies’ communication about safety protocols in work areas. -Put down temporary rumble strips- The strips change the roadway surface, serve as an audible warning and boost driver alertness. Rumble strips also are quick to install and remove. -Put out mobile barrier units- Simple and fast to set up, mobile barrier units reduce distraction and glare, and limit tow operator exposure. -Set out work zone intrusion alarms- These devices can be mounted on traffic cones to sound an alarm when the cone has been tipped. -Separate traffic from work zone- Use temporary traffic barriers, shadow vehicles with truck-mounted attenuators, or similar devices minimizes risk for both workers and travelers. -Lighting- Turn on temporary lighting to make workers more visible, especially at night. Control glare so as not to interfere with visibility. -Special devices- employ traffic control devices such as rumble strips, changeable message signs, intrusion alarms and spotters. To read more on Establishing a Safe Tow Work Zone, see the April 2018 issue of Tow Times Magazine.